The school holidays are a great time to sleep in, relax and take life easy. We have included a list of some great ideas for the school holidays that take the pressure of keeping children from moaning the dreaded ‘I’m Bored’ and assist in technology free days. Have a kids MasterChef competition at home. Keep meals simple – something such as pizza (just the toppings for little kids) is perfect. This works especially well if the kids have a few friends over. Have a competition as to who makes the best pizza – you can be the judge. Making dough from scratch is fun (and tiring!) but very inexpensive. Plus an added bonus – you don’t have to cook dinner! Visit a local park. Oh yeah – you’ve heard that one before. But not just any park – find a park that you haven’t been to before. Many of the new Council playgrounds are marvellous. There is water play, flying foxes, all sorts of do-be-watchits and thing-a-majigs! A lot of them are fun for parents too! Go Swimming. Well, this one is for summer – check out your local pool. It’s cheap to get in. All kids love swimming and there is always a nice shady spot to sit and read. Sick of the local pool? Visit one of the really big water parks – some of them have heated pools indoors! Play puppet shows at home. Puppet shows have always been the cornerstone of imaginative play for children and you can make your own puppet show at home too! 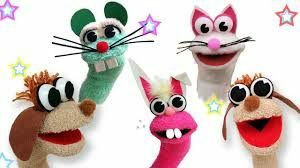 So collect all your socks that you´re no longer using and get out the clag and have fun creating. Try Geocaching. Geocaching is a boredom-buster activity that can take place nearly anywhere. 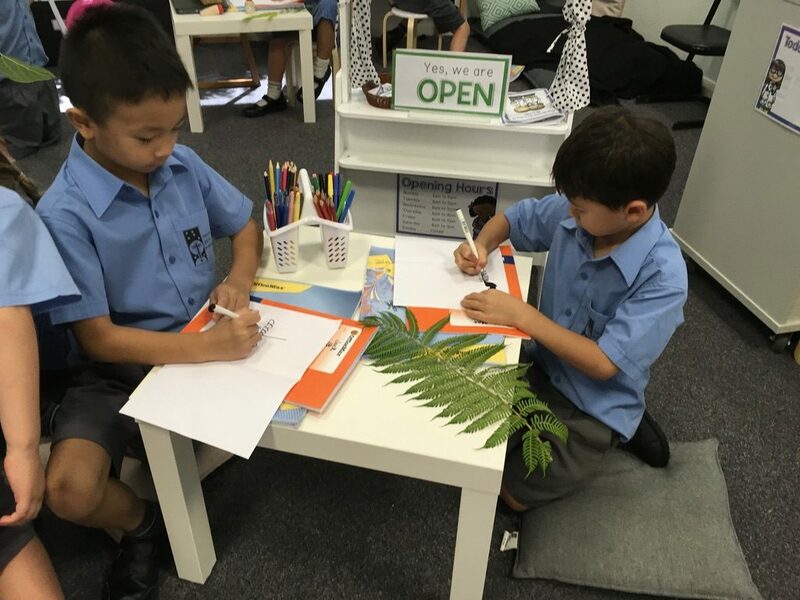 It enables children to continue learning and have fun at the same time. So how about taking your kids for a Geotour? Enjoy finding goodies! Have a picture-taking contest. Photography is an excellent art form that children can enjoy as a hobby throughout their school holiday. So share cameras with them, experiment by taking all sorts of pictures, make it as funny as possible and create your own school holiday catalogue! Create a Photo Album Comic Book. Just download and print your funny pictures and start creating your real-life comic by using thought and speech bubbles! Create Story Stones. The sky’s the limit in terms of the characters you illustrate on your stones. You can collect as many stones as you want and use either acrylic paints or the oil-based sharpie. Go for a Bike Ride. You can call it “the adventures of town cycling!”, a fun and healthy bonding moment with kids that can take place anywhere around your neighbourhood. Have some fun with home science experiments. Curious kids of all ages are always fascinated with the power of science! Kids can do science experiments at home with whatever you have on hand. Like creating chicken sounds from a cup, the arrow trick and the milk and coke experiment. ANZAC Day is a national public holiday and is considered by many Australians to be one of the most solemn days of the year. Marches are held in cities and towns nationwide by veterans from all past wars, as well as current serving members of the Australian Defence Force and Reserves, with allied veterans and the Australian Defence Force Cadets and Australian Air League and supported by members of Scouts Australia, Guides Australia, and other uniformed service groups as well as schools and community groups. ANZAC Day marks the anniversary of the first major military action fought by Australian and New Zealand forces during the First World War. 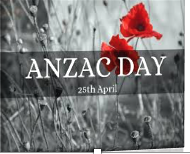 The acronym ANZAC stands for Australian and New Zealand Army Corps, whose soldiers were known as Anzacs. ANZAC Day remains one of the most important national occasions of both Australia and New Zealand, a rare instance of two sovereign countries not only sharing the same Remembrance Day but making reference to both countries in its name. As a school we will be commemorating ANZAC Day on the first day of school next term, Tuesday 30 April, at 11.00 am in the Piazza. All are welcome to join us for this special event.